It’s common for people to experience aches and pains as a result of a long day’s work or due to a lengthy workout. However, being in pain can hinder a person’s ability to perform daily tasks. Some people will visit a doctor or a healthcare professional in hopes of solving their soreness, although many doctors divvy out prescription medications that can potentially help with the pain. Many people dislike the thought of pouring unnatural chemicals and solutions into their body. It’s well known that ice reduces inflammation in many areas of the body. In fact, ice works to decrease swelling by diminishing nerve movement in the injured area. Many people use ice in the form of an ice pack, products that deal with a cold element, and even ice baths to provide temporary comfort from pain. Therefore, using ice as a remedy for your aches and pains is not only recommended but is one of the best natural ways to combat physical soreness. It’s likely that you’ve bought cinnamon once or twice before either to spice up an old recipe or to bake some tasty Christmas cookies. However, cinnamon can do a lot more than just add a little flavoring. In fact, cinnamon can help your body recover from aches and pains. 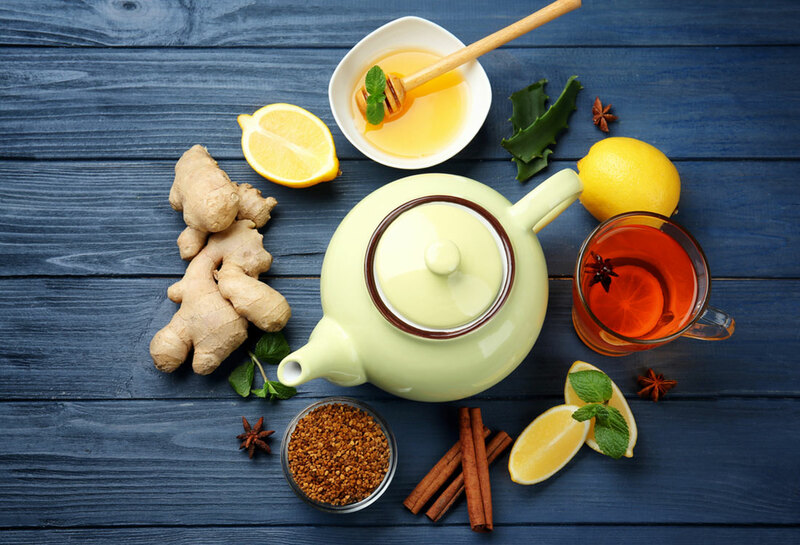 With its anti-inflammatory and healing qualities, cinnamon is known to reduce swelling in many areas of the body, in addition to enhancing a person’s health. It’s suggested that cinnamon is stirred in water and mixed with honey to be effective in providing the body with such benefits. There’s been considerable debate about the effects of rosemary on the body. Some people believe that rosemary aids the body in fighting against body aches, while others disagree. However, rosemary has been proven to help the body recover from aches and pains. Most people who use rosemary to treat their aches and pains do so by drinking rosemary tea. In fact, rosemary tea has become a popular staple among those who participate in strenuous activities due to its outstanding anti-inflammatory properties. Therefore, rosemary can help people who experience daily aches and pains, however for those that suffer the occasional sore you might want to try another remedy. People tend to skip over necessary remedies when searching for a treatment for their aches and pains. A banana, for example, can be instrumental in providing relief to body aches and muscle strains. Some people develop body aches and pains due to drop-in potassium levels. Since bananas are rich in potassium, eating a banana daily will ensure a stable level of potassium as well as increase your energy. Therefore, consuming a banana once and while will not only decrease your aches and pains but also provide your body with fuel for the rest of the day! Many people buy a bag of cherries simply for the sweet taste of the fruit. However, eating less than a bowl of cherries can have a serious impact on your body. While it’s not commonly known cherries can decrease inflammation in muscles, thus a person is likely to experience less pain after eating several cherries. In fact, by eating cherries, a person can prevent body aches and pains from occurring. Therefore, consuming cherries can help people who experience mild or severe symptoms of body aches. It’s commonly known that lavender oil is used in massage settings to help the body relax. In fact, lavender oil has anti-inflammatory and pain-relieving qualities which ease tense muscles. Lavender oil is the perfect solution to backaches, knee pains, and shoulder discomfort. Due to its ability to correct the root of the cause instead of the problem itself, lavender oil is one of the best natural ways to solve aches and pains. However, depending on the brand and where you get it from lavender oil may be expensive; therefore, you might want to think twice before purchasing this home treatment. Many people will recognize this remedy as it’s commonly used in massage environments to calm the body. In fact, peppermint oil has a variety of uses which include decreasing inflammation, reducing muscle spasms, and aiding the body in recovery. With so many benefits, peppermint oil is popular among those who experience aches and pains. Therefore, if you experience aches and pains in your daily life, you might want to try peppermint oil in order to boost your overall health. Although, depending on the store and the brand you choose it might be expensive. Epsom salt is recommended by both doctors and healthcare professionals when treating inflammation. 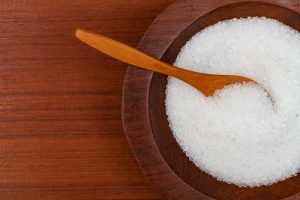 Due to its extreme magnesium levels, Epsom salt is known to have anti-inflammatory qualities as well as supply comfort to people who experience aches and pains. Therefore, Epsom salt can be critical to a person’s treatment of curing their aches and pains. While Epsom salt is not the most natural remedy on this list, it does help in providing relief from pain. It’s commonly known that fish oil can help lower blood pressure, decrease triglycerides, and diminish the chance of heart attack or stroke. Although, fish oil can also treat common aches and pains. With its anti-inflammatory qualities, fish oil can play a crucial role in reducing pain in your life. However, some people dislike fish oil for its side effects. Some side effects of fish oil include bad breath, nosebleeds, and heartburn. While everyone reactions to vitamins and supplements differently if you experience any of these symptoms you should stop taking fish oil and contact a doctor. Getting a massage either professionally done or at home with a friend or family member is a great way to loosen up those tense muscles. In fact, for people who want to save a little money and experience a massage at home, there are many different types of equipment that can help ease inflamed muscles. Therefore, getting a massage can be beneficial if you or a loved is having mild or severe body aches or pains.